The bad thing about a desktop photo editing app is – well, you can’t access it from anywhere. The good thing is that you can work offline and open high resolution images without a stutter. The popular Pixlr from Autodesk started off as a cloud photo editor Crop, Retouch, Fill, And Create New Images With These 4 Online Photo Editors Crop, Retouch, Fill, And Create New Images With These 4 Online Photo Editors While there is simply no comparing robust photo editors like Photoshop or Gimp to online alternatives, sometimes a simple online tool is all you need to get the job done. We've put together a list... Read More . 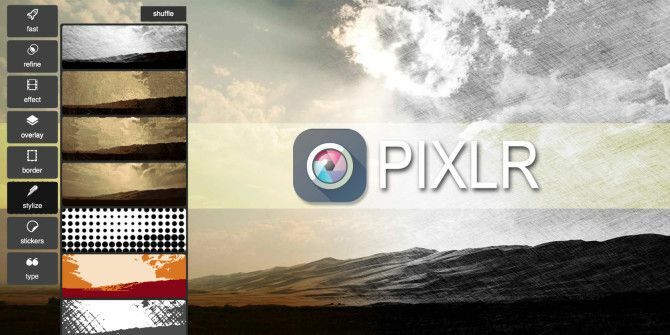 It has now launched Pixlr for Desktop [No Longer Available]. Windows and Mac users can spare a few megabytes for its fun and powerful tools. Handling high-resolution images isn’t the only thing you can do with it. Pixlr for Desktop is not for the serious Photoshop crowd. It is even positioned differently to Autodesk’s more sophisticated flagship — Pixlr Editor. But it has just enough features in its kitty to whet the needs of someone who wants to get creative with photos. So, if Photoshop is bit of an elephant gun for you, try your hand at the new desktop version. The software is offered as a free starter edition. A Pro membership ($1.99/month or $14.99/year) opens up advanced tools like Masking. The software works with Windows 7 (32-bit, 64-bit) and Windows 8 (32-bit, 64-bit) and Mac OS X 10.9. The 34 MB application takes a few seconds to install and this is what you should immediately see on your desktop. The interface is neat and barebones. If you have used Pixlr Express or the mobile apps, the tool tiles will be familiar. The desktop GUI seems better organized than its Web counterpart. The starter edition gives you the basic tools of photo correction and manipulation. Like any good photo tool, the tools are arranged according to a logical workflow. Click on Fast and quickly fix your photos of any aberrations. Quick correction tasks like cropping and straightening photos, red-eye reduction, spot healing for tiny defects are the first before you move on to applying photography effects 5 Desktop Apps to Give An Instagram-Like Effect to Your Photos 5 Desktop Apps to Give An Instagram-Like Effect to Your Photos Instagram makes your photos shine applying standardized filters. Now you can do the same on the desktop, using these tools. Read More . Each tool comes with custom settings. I especially liked the Focal Blur tool which allowed me to “simulate” background blurs in a few photos. Unlike the browser or mobile version, it can be used with better precision. Pixlr has always been about arty effects. On the desktop, you can play around with stylized effects like crosshatch, halftone, and dapple. Stylize is missing (so far) in the online Pixlr Express and the mobile apps. To get more goodies, register and sign-in for free. You will immediately notice little “pink ribbons” on the tiles, suggesting that some extras – Essentials – have been unlocked. For instance, if you like dabbling in dreamy double exposure photography, then the new option under the Refine tool should catch your eye. Some other additions like HD border packs and 45 degree overlay rotation completes the Essentials pack. The Advanced Benefits Of A Pro Membership? Pixlr also says that new features will be added gradually. AutoDesk has a complement of learning tutorials on Vimeo. To put it through its paces, I opened 15 MB to 25 MB JPEG photos with it. Being a desktop software, there wasn’t a problem handling high-resolutions. Pixlr supports JPEG, PNG, BMP, GIF, TIFF, PSD, and Mac Pict files. You can save images as BMP, JPEG, PNG Know When to Use Which File Format: PNG vs. JPG, DOC vs. PDF, MP3 vs. FLAC Know When to Use Which File Format: PNG vs. JPG, DOC vs. PDF, MP3 vs. FLAC Do you know the differences between JPG and PNG, or MP3 and FLAC? If you don't know which file formats to use, let us guide you through their distinctions. Read More , and TIFF. Do note that Pixlr opens layered files as flattened versions. Pixlr preserves EXIF data, and that’s something a newbie photographer can look into and learn from. The starter edition will not allow you to play with text masks. But you can always try the full complement of fonts that you have installed on your system and turn your photos into shareable memes. Yes, you can share with a click via Facebook, Twitter, or good ‘ol email. Pixlr for Desktop does not allow you to adjust the quality of the image to be saved. If you want to reduce the size of the final image, you have to fall back to another tool. 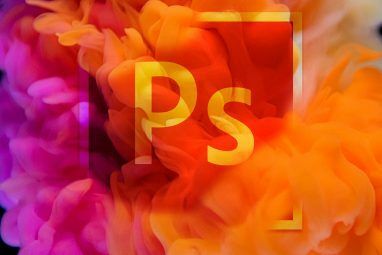 Call me greedy, but I would have loved to see a Layers feature Photoshop Is Overkill: Edit Your Images With These Free Chrome Apps And Extensions Photoshop Is Overkill: Edit Your Images With These Free Chrome Apps And Extensions Although Photoshop is a great program, it has its drawbacks. Photoshop is not only very expensive, it also has too many controls for what you probably need. There are a lot of editors you could... Read More . It opens up a lot of creativity options. But for now, it is a part of the online Pixlr Editor alone. 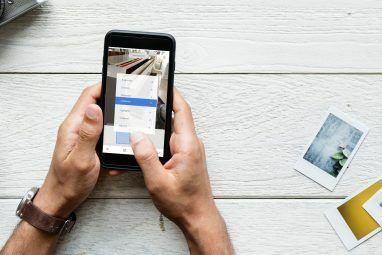 Pixlr for Desktop is the fourth tool in Autodesk’s roster — along with the online Pixlr Editor, Pixlr Express (with companion apps for iOS and Android), and Pixlr-o-Matic (the fun photo effects app). All are standalone apps – so, you cannot synchronize your work between desktop and the cloud app. Pixlr for Desktop and Pixlr Express are for the casual photo artist, so they shouldn’t be too bothered about cloud syncing. 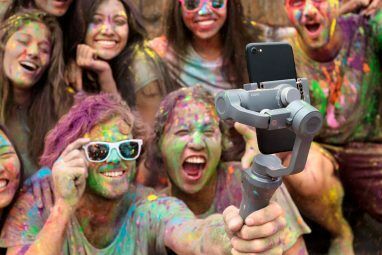 But who knows – it might come along in future iterations. What are your first impressions? And your second, if you have used any of Autodesk’s graphic tools before? Did Pixlr for Desktop tick the right boxes in its debut? Better than the online app, or the mobile ones?